Gynura diversifolia Sch.Bip. ex Asch. ]. 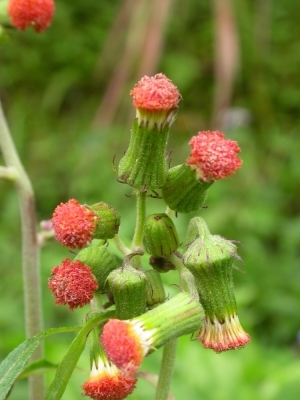 The plant also has local medicinal uses. Through most of tropical Africa, it has become naturalised in many other parts of the Tropics. Crassocephalum crepidioides has been used successfully as a trap plant to collect adult corm weevils in banana plantations.